Do you have a child due to start school in September 2017? 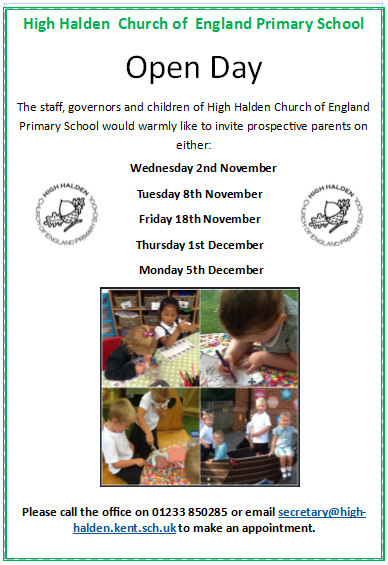 The children, staff and governors would like to invite you to attend one of our open days so you can come and see what makes High Halden a special place to learn! Applications open on 7th November 2016 and close on 16 January 2017.